← How Easy is it to Steal the Written Word Online? Mythical Creatures in Fiction: What to Keep, What to Toss? As a writer who prefers creating stories about mythical creatures, specifically the vampire, I realized early on that there were specific “rules” that vampires have to adhere to in order to make them seem as real as possible. I don’t just mean rules of etiquette, although those certainly do come into play. I am referring to rules of anatomy, i.e. their physical being, what they can and cannot do, their “powers” if you will. Are they truly undead? Or are they some sort of other creature, not a walking corpse but a combination of sorts, like how a werewolf is a combination of man and wolf. Does it have any special powers such as being able to fly or hypnotize or produce magic of some sort? Why do they have to drink blood, exactly? Or should a writer leave some things to be filled in by the reader, never really giving a good explanation of why or how things work the way that they do in a novel. I find myself asking this question over and over again: if you cut a vampire’s hair, does it grow back? I suppose this would mostly depend on whether or not the vampire in question is considered a dead thing or simply some ‘other’ type of mystical creature. Or maybe, as a writer, one could break all the rules and have the vampire’s hair grow back even if it was considered this undead thing walking the earth. In writing fiction, anything goes. However, with each new idea, as a writer, one must decide if the storyline will be based mostly in fact, mostly in fiction, a combination; will it be so vastly “out there” that the reader has no doubt that it could never really happen, or will it be close enough to reality that, even though the creatures are mythical and the storyline outlandish, somewhere in the back of the reader’s mind he thinks that maybe, just maybe, such a being really could exist. Whichever direction a writer chooses to go, it is an individual choice, and one that is most often made with much forethought and planning. So as readers, please do not be too quick to judge. What you may find fantastical and so beyond the scope of the norm as to be laughable might have been just what the writer was aiming to achieve. And you never know. What may seem absolutely ridiculous now might actually be feasible in a few thousand years. Great post! What with vampires and demons in my bunch, I can definitely relate to what you are saying. “Anything goes”, but for each work/world there needs to be a certain set of rules, and if they stray too far away from tradition, it may as well be a whole new/different creature.At least that seems to be the general consensus. 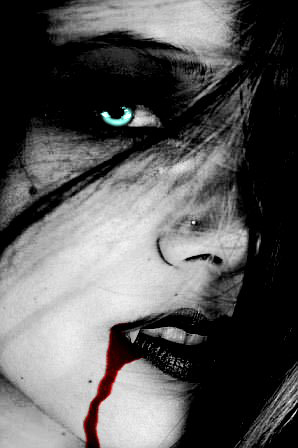 If a vampire doesn’t drink blood, it’s hardly a vampire but a different category of undead, but if it has a reflection or doesn’t need to be invited in, it’s all right as long as it has other characteristics (like blood drinking or “allergy” to sunlight).